Another quality US built bow rider from the Tahoe stables and its Red so its gotta go fast. Powered by a very tidy 3ltr Mercruiser stern drive with power steering its got plenty of power, great handling and is very economical. 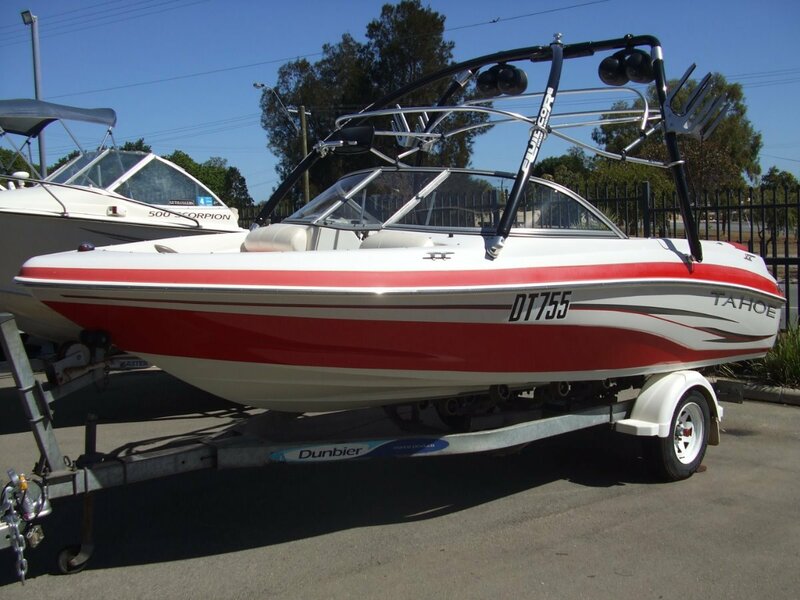 Included is a stereo with 6 speaker, Gps/Sounder, Ski locker, Bow cover, Bimini canopy and if you didn't notice a fantastic Wake Tower with board racks. This Q4 comes on a Multi Roller Dunbier trailer and was WA delivered from new. Grab your self a bargain and get out there.